Since carbon nanotubes (CNTs) have an extremely large surface-to-volume ratio, the electrical properties of CNTs can be easily changed by the adsorption of small molecules. Due to this attribute, CNT-based sensors can detect small molecules with a high sensitivity. Recently, bioelectronic noses based on CNTs have been developed by immobilizing olfactory receptors or nanovesicles on the surface of CNTs. 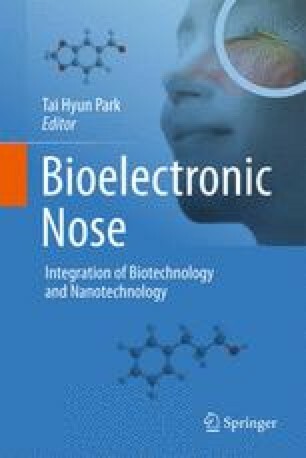 By taking advantages of CNT structures, these bioelectronic nose devices allowed one to detect target odorants with a high sensitivity. Furthermore, they exhibited highly selective responses to target odorants with a single-carbon-atomic resolution just like human olfactory systems. These bioelectronic nose devices based on CNTs can be utilized for various practical applications such as food screening, medical diagnostics, and the fabrication of artificial noses.